We are an outstanding organization successfully affianced in providing the finest quality gamut of Programmable Logic Controllers. These controllers are precisely manufactured with using of top-notch quality electrical components with the implication of advanced techniques. 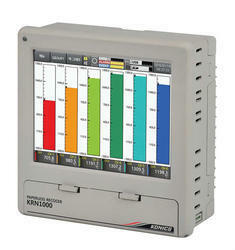 These controllers are used for running various kinds of machines on the basis of predefined logic. In addition, the provided controllers are made available in several technical specifications at highly competitive rates for our clients. Looking for Programmable Logic Controllers ?